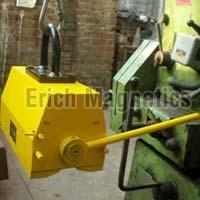 Erich Magnetics is one of the reputed Manufacturers, Exporters & Suppliers offering high grade Industrial Magnetic Equipment to the clients. 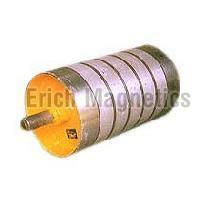 The range that we deal in includes Lifting Magnets, Magnetic Rolls, Magnetic Separators, Magnetic Filters, Demagnetizer, etc. Having a vast experience in the field; we have a deep understanding of the client’s requirements and thus, strive hard to completely satisfy them. We believe in customer oriented approach and therefore put in determined efforts to maintain the quality and standard of our products. The transparency in our dealings has helped us to develop a huge network around the world. We efficiently cater to the needs of workshops and material handling in construction sites. We, with a team of proficient professionals introduce innovative techniques in our operations enabling us to stand among the prestigious companies in the domain.